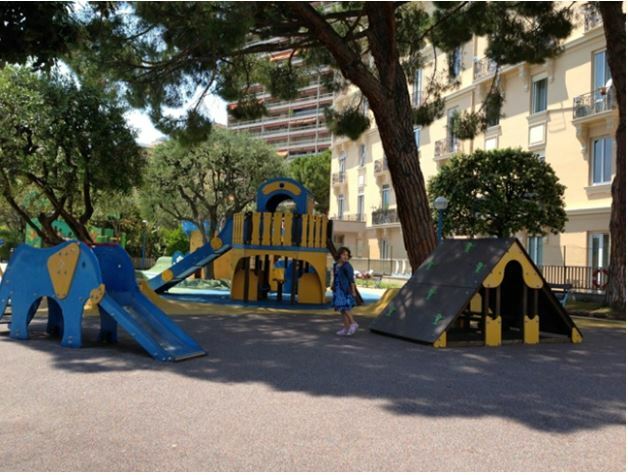 There are several great playgrounds for children in across the Principality of Monaco. Here you can find practical information about all of them. 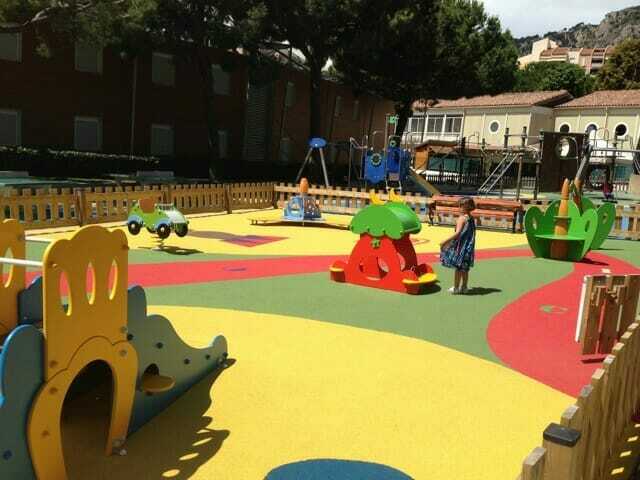 Some of them are a nice place for adults as well, where you can sit and relax while your children play. Let us start with one located on top of the stairs to the Princely Palace, in Monaco-Ville. 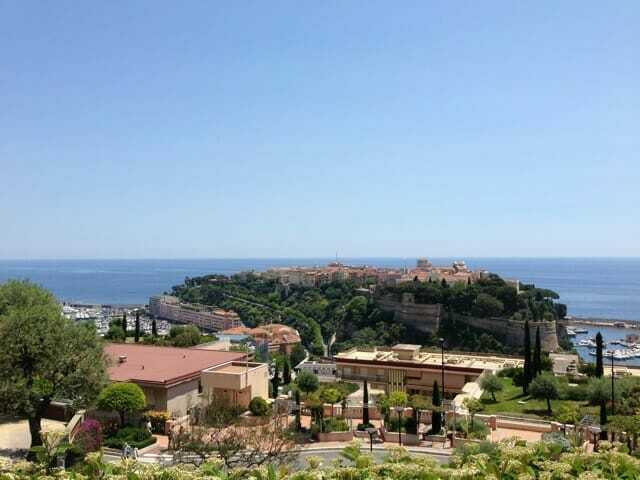 A great place with a soft rubber coatings, panoramic views of Fontvieille, and perfectly clean. You won’t meet many locals here, but you would find a mix of fun international tourists. It’s not easy to find at first, but the playground is easily accessible: it is a final stop for the bus line 1 and 2. Head to the Palace and take the steps down, to the left of the Palace Square. The playground at Place d’Armes, market square. This playground is where the road takes you up to the Palace. 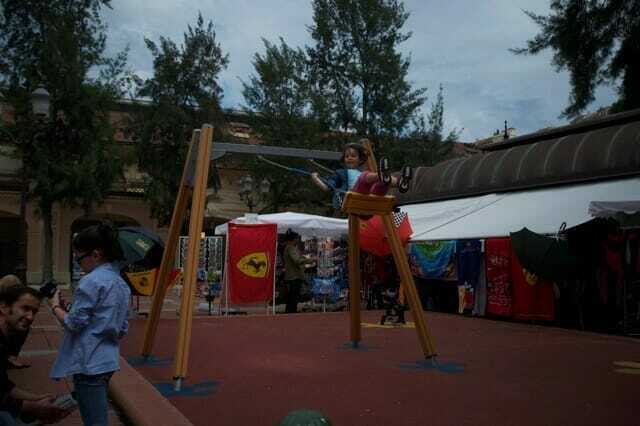 While parents do shopping at the market or have a coffee in the square, children can play right there in front. Lots of locals come here in the evening to let their kids ride a scooter or play ball on the large market space. All bus lines stop at the market square (1, 2, 4, 6). Trocadero playground is a large and comfortable area set in a little park, with a statue of a mother holding two kids at the entrance. During the day, it is busy with moms and nannies sitting in the shade, most of them regulars. This playground runs on a schedule and closes between 6 and 7pm, depending on the season. Bus 1 and 4 will take you to the stop Place des Moulins. 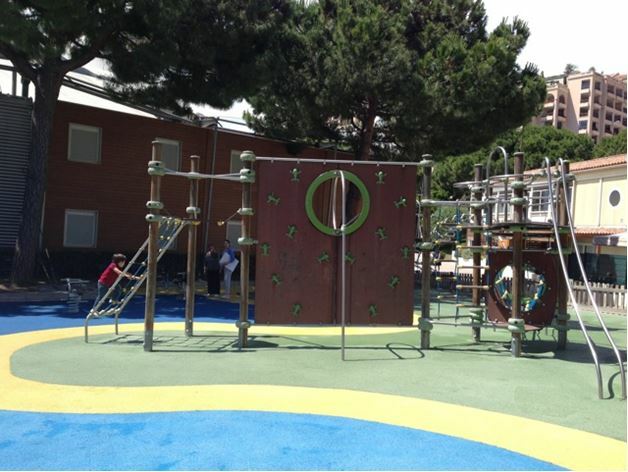 The playground at Boulevard d’Italie. This is located across the road from Chateau Perigord, next to the skyscraper Annonciade, near Boulevard d’Italie. 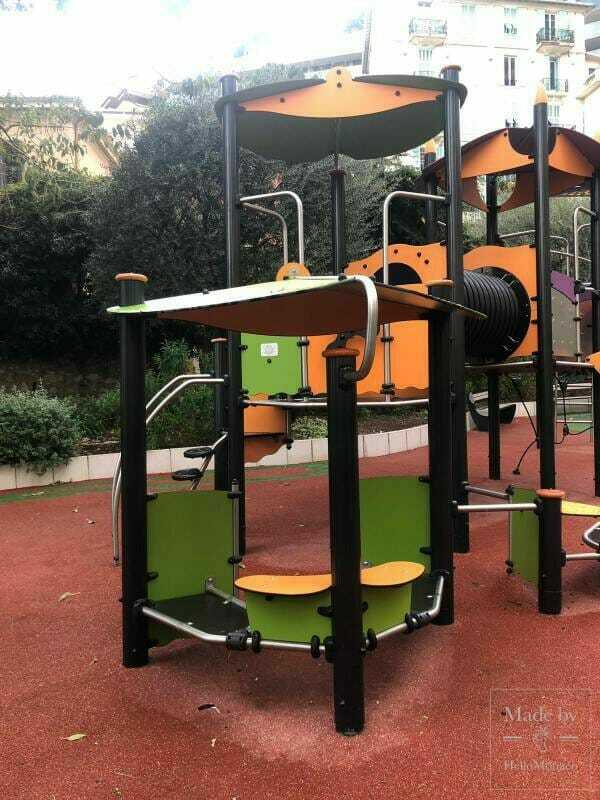 It is designed for all ages – from very young to older children. The playground is always open and it is not very crowded. It is suitable to play with babies who are too young to play with older children. 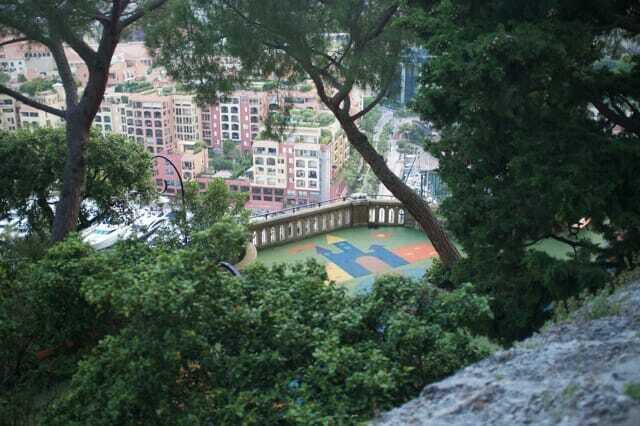 Most visitors to Monaco know this playground. 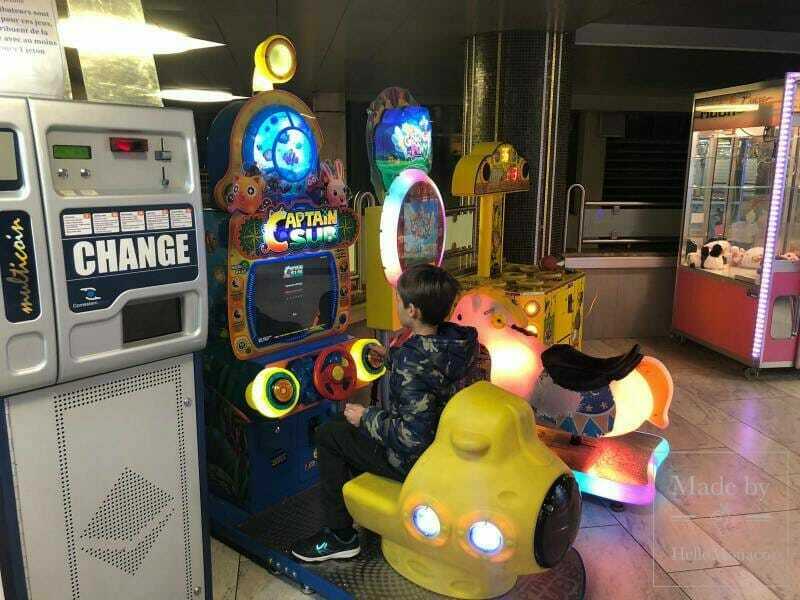 This is an oasis of children’s happiness. It is at the end of the beach, with a slide in the form of a ship. The area is quite shady and nice to visit on a hot summer day. There are snack places and ice cream bars, everything a child needs to enjoy life to the fullest. You will find more information about Larvotto in our beach review. Bus 6 will take you to the stop Plages. 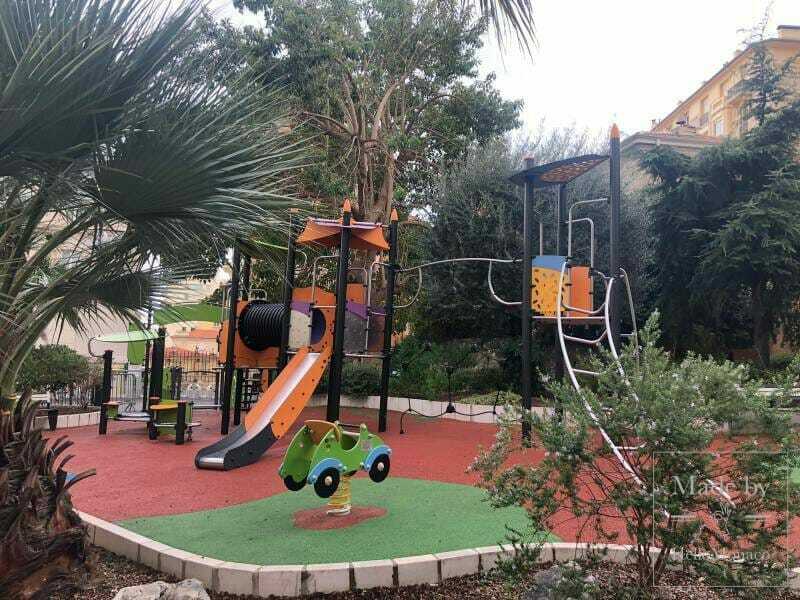 There are several great areas for children of different ages here and a sport field for teens, with a view of the harbor and the Palace. In a little zoo you can pet some friendly goats or see rabbits. 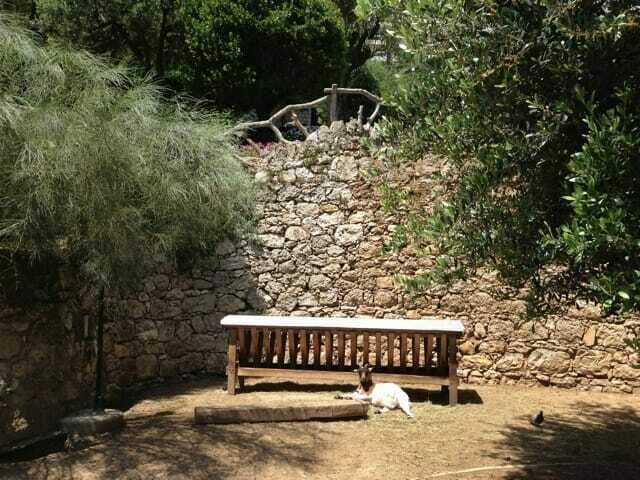 Check out a little vegetable garden used by the animal community. 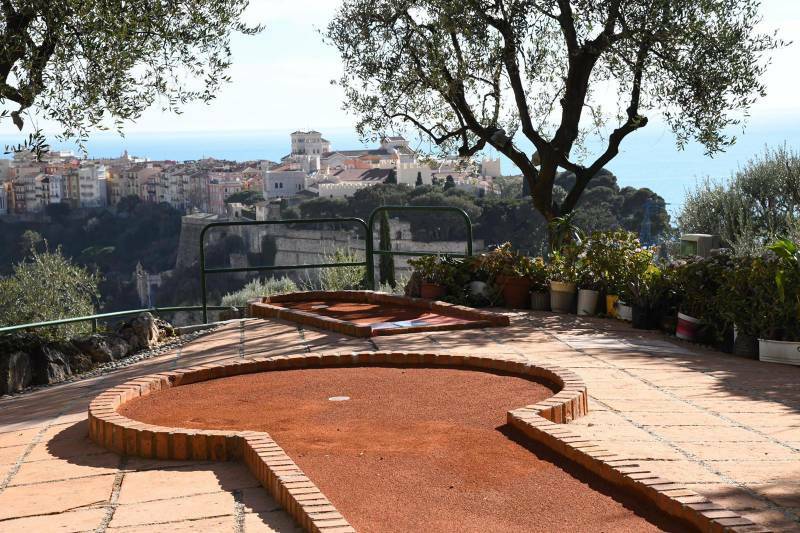 There is also a golf course, an outdoor cafe and a mini-carousel for 2 Euros per round beneath the sounds of cheerful music. You need to take Bus 2 to the stop Rotondes. The park is open from 8:30 am to 7:00 pm in the summer (closes earlier in winter). Special staff observes the order on the spot and hands out balls for the children to play (a knowledge of French is thus required). There is a fountain with drinking water and toilets. You can easily spend a whole day here. This playground is really popular among local children. Small kids play separately from bigger kids, which is very convenient. But there is hardly any shade, so the playground is usually empty on a hot day. The nearby Princess Grace Rose garden makes the area more attractive. 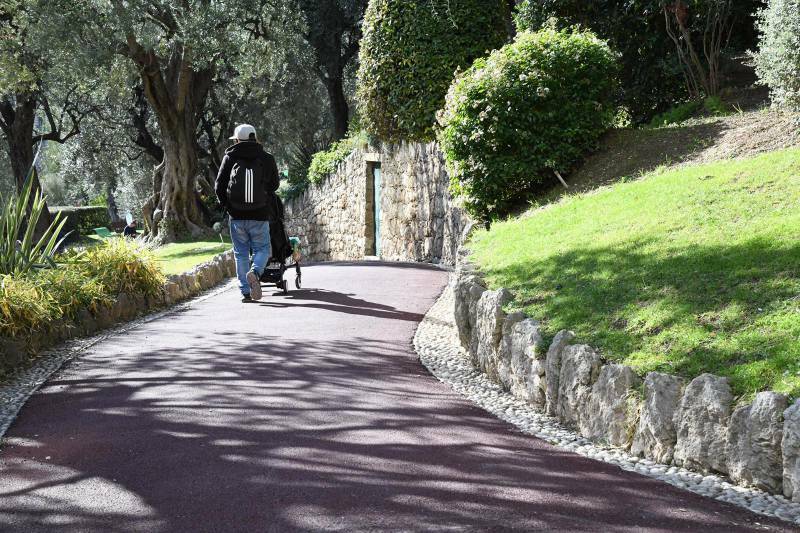 You can come here for a stroll around Fontvieille. Buses 5 and 6 will take you to Roseraie stop. 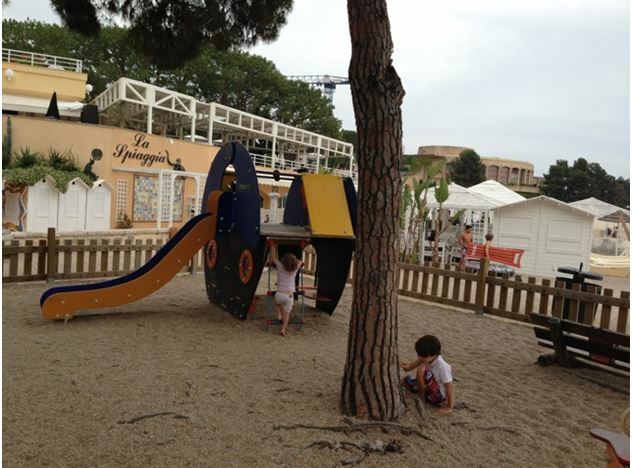 Another playground is situated at Promenade Honoré II, before the Helios building in Fontvieille. 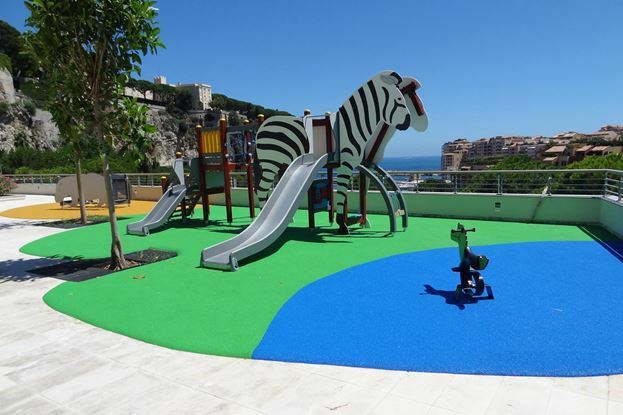 This is the last project by the Principality’s Office of Urban Development with a 125 square metre surface, a zoo theme and open to children under 12. 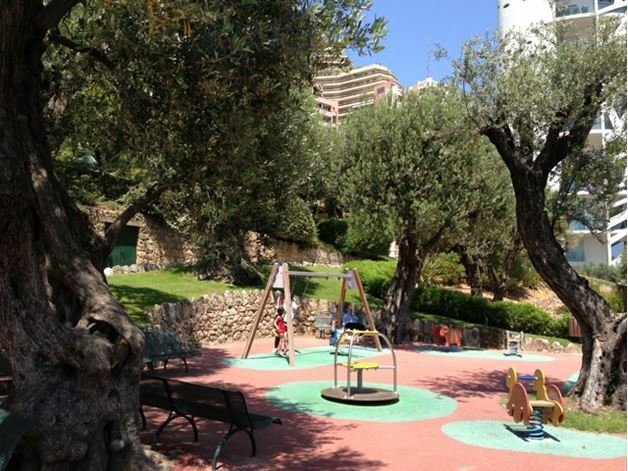 Parents and nannies can enjoy a wonderful view of Monaco-Ville and the Palace. 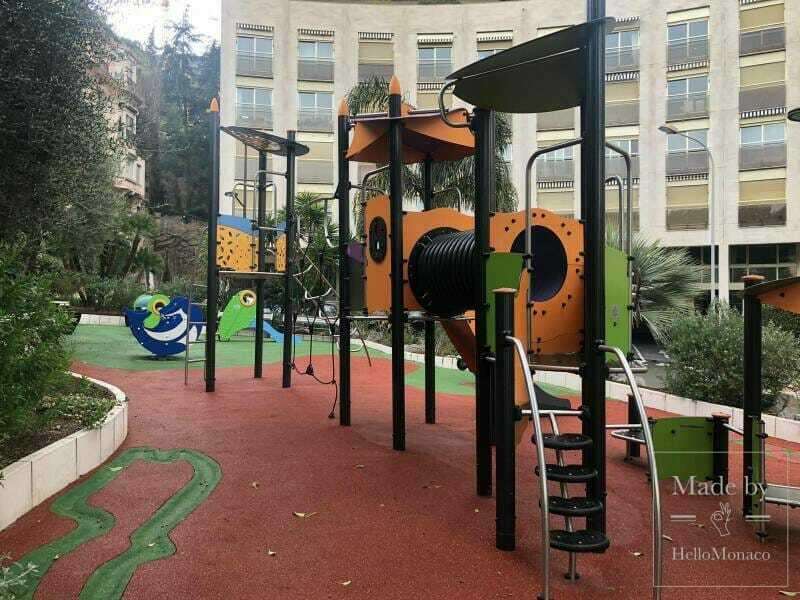 Next to the Italian embassy in Monaco, on Avenue de l’Annonciade, there is a very modern playground with a large number of different slides and swings. 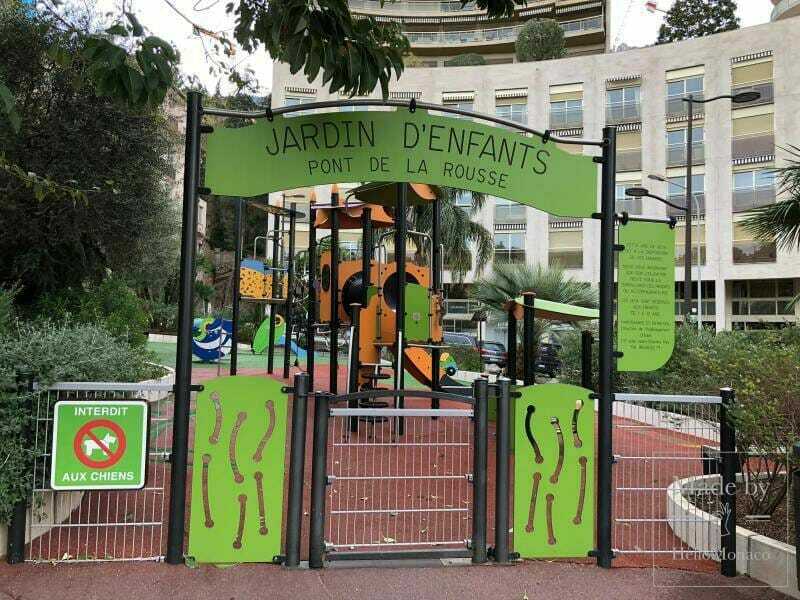 This game zone is called “Jardin d’enfants. Pont de la Rousse”. 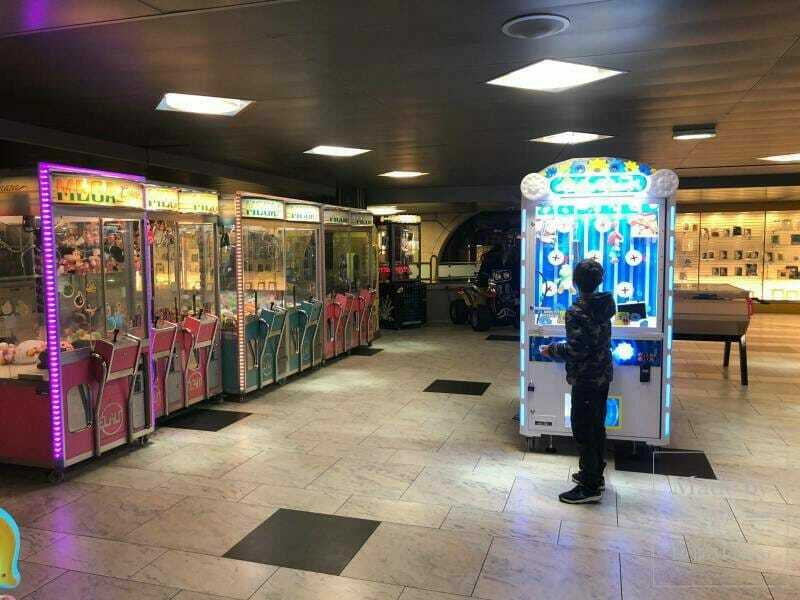 There is also entertainment for the smallest children where safety and freedom is guaranteed against small injuries by a special soft covering on the ground. 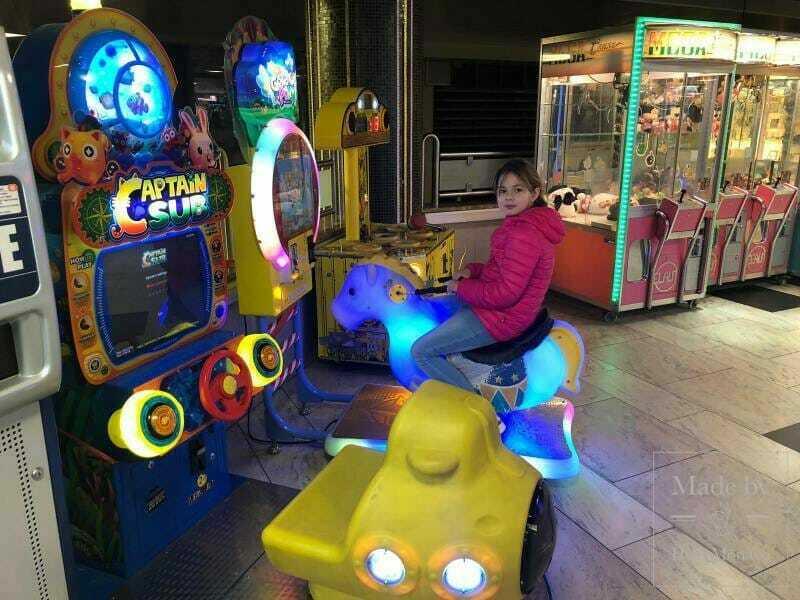 On the second floor of the shopping center at Fontvieille there is a special zone for kids with a wide choice of slot and arcade machines. 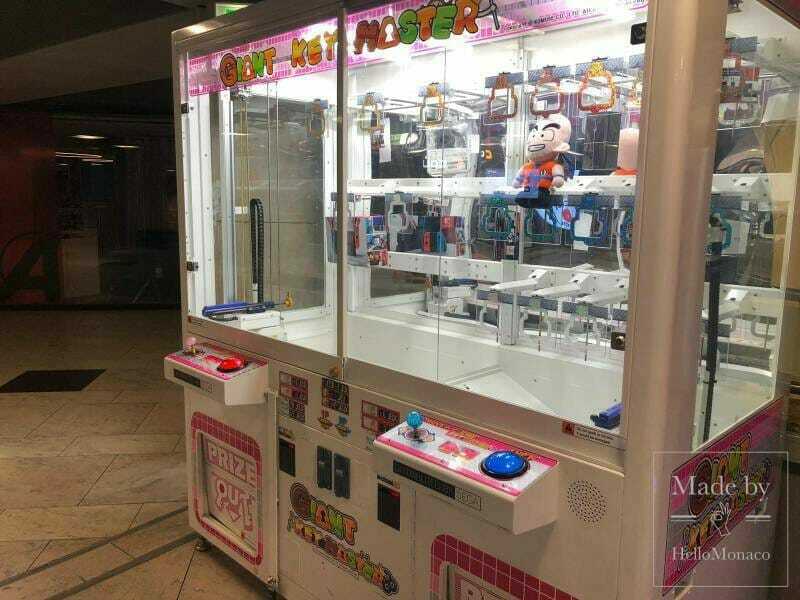 We advise you to stock up with coins (1-2 euros) in advance so that your kids will enjoy the game. 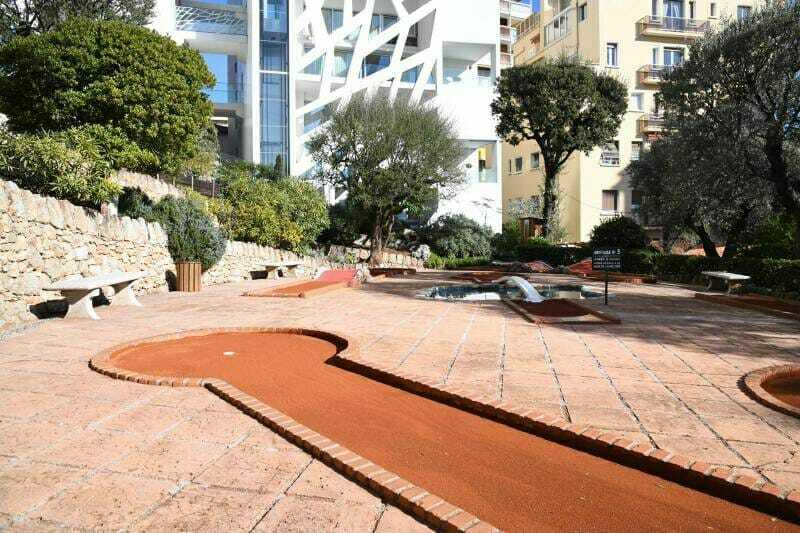 After the recent renovation which was performed by the municipality of Monaco in Park Princess Antoinette, the 18-hole mini-golf is open again! The renovations which took three months consisted of the creation of a drainage network for removal of rain water, the restoration of a drainage underlayer, and repainting the concrete details. Now kids will be able to play golf in even more secure and safe conditions.